Referee – One person is designated as the referee. This person is not a player and can settle all disputes. The referee also begins the game with “GA, GA, GO!” to kick things off. 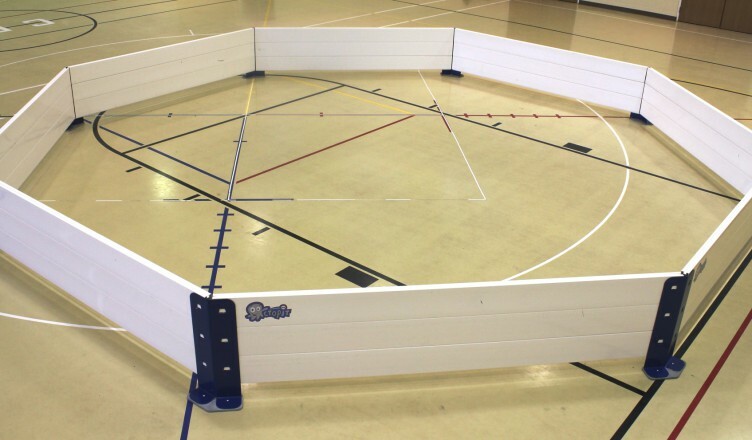 Court – The Gaga Pit is an octagon that holds in the players that are “in”. Then, if a ball hits you from the waist down, you are then “out” and need to hop over the pit and stand outside of it. Outs – The “outs” are determined if a player is hit by another player with the ball from waist down, if the ball leaves the court the last player to touch it is out, or if the player catches the ball thrown by another player, the thrower is then out. Finally, players that are “out” can get back “in” if the ball goes in front of them and they can reach over the pit and pick it up. The game continues till there is only one winner. Are you looking to purchase a Gaga Pit from OctopicUSA.com? Contact us today at (248) 752-8165.